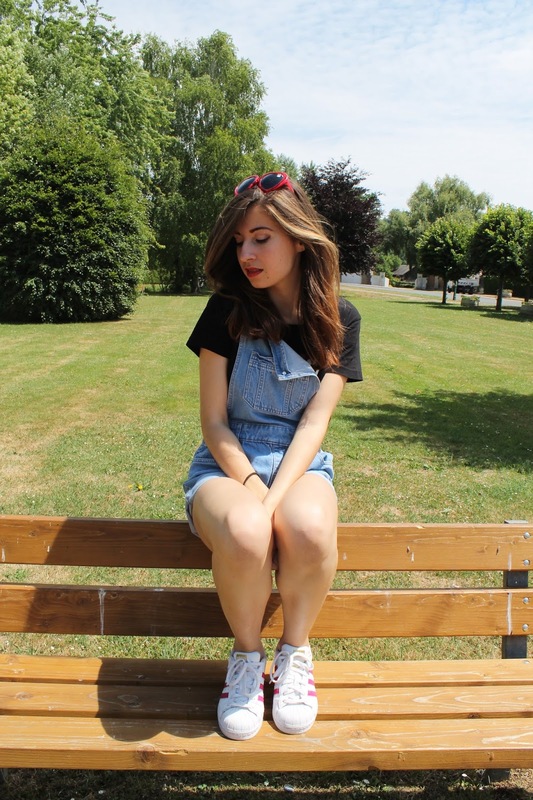 The Little Fashionette: Dungarees are fun ! Superbe ! J'adore ton top ! Your dungarees ROCK!!! LOVVVVVE them with your heart sunnies! And such cool kicks!!! Fabbbb look babe! Nice look, love the overall!! Love a good pair of dungarees - especially in white for summer! What a beautiful photos. Love this look perfectly in tune with the back ground.